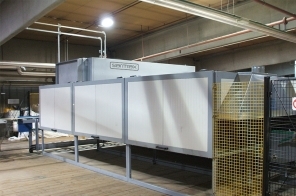 A variety of drying systems are available in the Sarmax production range. 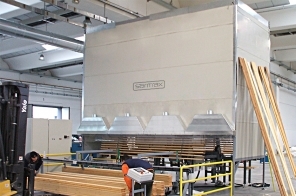 According to the evaluation of different parameters (the type of wood, the type of primer or paint, the drying time, the space available) ovens are designed that develop both horizontally and vertically. The structure is based on a piece transportation system, of insulated panelling transport and on a drying circuit. The required source of heating is obtained with systems that use electricity, air, water or diathermic oil.